While that may be true, that does not mean the cement-making giant is ignorant of its energy consumption. 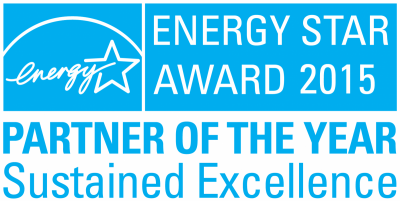 Quite the contrary in fact, as CalPortland was recognized in April by the Environmental Protection Agency (EPA) with an eleventh consecutive ENERGY STAR® Partner of the Year — Sustained Excellence Award. Of the many key accomplishments recognized by the EPA, CalPortland saved 29 billion British thermal units over 2013, and reduced its energy intensity by 16 percent since 2003. To date, those energy savings have accumulated to $73.1 million. In contrast to CalPortland’s pyroprocessing, the company’s compressed air energy demand may seem diminutive — reaching 1 to 2 MW yearly in a given facility. Why then is compressed air a top 5 focus for the energy team at CalPortland? According to William Jerald, CEM, the Chief Energy Engineer at CalPortland, it’s because cognizance is key. By generating awareness of the costs of compressed air, Jerald and his energy team have successfully driven those costs down. Fortunately, Jerald was kind enough to speak with the team at Compressed Air Best Practices® Magazine about the energy program at CalPortland. During our conversation, he discussed the history of the company’s energy program, how compressed air fits into their energy plans, and how partnering with ENERGY STAR has been a boon for the company’s energy initiatives. CalPortland’s energy program got its official start in 2003. At the time, the company’s primary product was cement, and it had three cement plants along with a few ready-mix concrete plants in southern California. Having a small number of energy-intensive locations made it easier for CalPortland to “take the next step” with its energy program. A nudge from ENERGY STAR also helped. In 2007, Jerald was working as the electrical supervisor at CalPortland’s cement plant in Arizona. That’s when he was asked to become the Energy Manager for the entire company. CalPortland currently operates in Washington, Oregon, Nevada, California and Arizona. The company’s facilities include cement plants, cement terminals, ready-mix plants, asphalt plants, and aggregate mines. It is no easy feat to remain aware of — let alone manage — the energy use of such an expansive and diverse array of facilities. Nevertheless, Jerald is responsible for just that. Jerald is not alone in his endeavor, as the energy management program at CalPortland has strong corporate backing. Where initially the energy team was a “one-man wolf pack” led from within the engineering department, it now has a steering committee comprising Steve Coppinger, who is now the VP of engineering services at CalPortland, along with several other VPs, engineers, and divisional managers who are assigned as the energy manager for their respective division. The divisional managers have similar duties to that of Coppinger’s when the energy program just when the energy program just started. They have a role as an energy team member in addition to their primary duties. A vital part of for the energy program is the active involvement of CalPortland’s CEO, Allen Hamblen, who regularly attends Jerald’s quarterly energy management meetings. The corporate backing is in no small part due to the monetary gains accrued through the energy management program. CalPortland’s annual energy spend is $81 million — the highest operating cost of the company. That metric certainly helps get executive attention. If Jerald saves 1 percent in energy costs, that is $800,000 that goes straight to the company’s bottom line. According to Jerald, the quarterly information-sharing meeting is “one of the big assets of the energy management program.” Using a videoconference system, all of the energy managers, engineers and corporate team members are able to attend. After an update from Hamblen, other executives discuss the importance of the energy program from their perspectives. Jerald follows these talks with an educational segment where he may share a recent project that yielded energy savings. Obviously there is a lot more to energy management than simply sharing information, and Jerald makes it a priority to make himself available to all of the members of the energy team, along with the operations personnel that he works with regularly. For Jerald, earning his co-workers’ trust is especially important for when he visits in person. There may be crews at a particular plant that have been working there for thirty years, and the only thing they know is what works. “When you’re there to train them, some of them will say, ‘I have to have 155 psi — that’s the only way my plant runs,’” Jerald explained. “They’ve had plenty of engineers or someone from corporate come in and force something down their throat. So I walk in, explain my experience. (Jerald was an electrician in the Navy and worked in a cement plant for 15 years.) Once they’re comfortable that I’m not just a behind-the-desk guy, then they open up, and we start really pointing things out. CalPortland uses compressed air in various ways throughout its network of operations. At just about every facility — from the ready-mix plants to the aggregate and mining facilities — cylinder operation for controlling gates and ramps is a key user of compressed air. In ready-mix plants and cement terminals, for instance, the cylindrically controlled gates and ramps fill trucks with sand, gravel and cement powder. One of the largest compressed air consumers at CalPortland is an environmental application that takes place at the cement plants. Since there are limitations to the temperature of gases leaving an exhaust stack, the gases from the kiln must be cooled. To cool the exhaust effectively, water is sprayed into the air stream as it leaves the kiln. Compressed air is used to atomize the water, thereby maximizing the heat transfer and cooling the exhaust more efficiently. CalPortland has two 1000-hp compressors dedicated to this process at each of its cement plants. Dust collection is another a major compressed air application at many of CalPortland’s facilities. In addition, there are also smaller applications like vibrators and automotive shop compressors that consume compressed air. Treasure hunts, or events that engage employees to help identify energy-saving opportunities, have been one of the most effective methods for Jerald and his energy management team — especially in regards to compressed air. The treasure hunts help promote awareness among plant personnel of the costs associated with compressed air. Jerald shared a great example of how simply being aware of the compressed air system can help save money — even though this particular example was more about fuel savings than electrical. One of CalPortland’s facilities had been leasing a diesel compressor for five years. Facility personnel constantly filled it up with fuel, unaware that there were better options. After Jerald and the plant’s staff identified the issue, bought a new compressor, and installed it, the payback was less than 6 months. While support from corporate certainly helps Jerald with his daunting task, he acknowledged that ENERGY STAR is another indispensable ally in his efforts to cut energy costs. With their latest award, CalPortland is now tied with 3M — a huge, multinational company — in ENERGY STAR awards, which is very significant for CalPortland. The positive marketing that comes along with the ENERGY STAR brand sheds a positive light on any company affiliated with it. At the end of the day, if you are an energy manager and your children think that you work for ENERGY STAR, you are doing something right. For more information about CalPortland, visit www.calportland.com. To learn more about ENERGY STAR, visit www.energystar.org. For more articles about Energy Management, please visit www.airbestpractices.com/energy-manager.